Mining Pond Cleaning | GeoForm International Inc.
Mining operations produce large volumes of waste and debris (referred to in the industry as “tailings”) that end up at the bottom of containment ponds and lagoons. This waste often takes the form of coal fines that can reduce the water volume in the water body and pose a significant environmental hazard. It is essential to remove sediment in mining ponds to maintain water capacity and comply with today’s increasingly stringent environmental regulations. Dredging, which is essentially an underwater excavation process with the use of specialized equipment, is a time-tested cleaning technique for removing sediment in mining ponds. Dredging will clean sediment in a mining pond or lagoon with speed and efficiency, resulting in the removal of tailings, coal ash, and other accumulated debris. Additionally, dredging can meet a mining operation’s environmental needs by facilitating regulatory compliance. Hard rock: From copper to gold, the hard rock mining industry encompasses a range of materials. Each, however, requires a mining process that produces a significant amount of tailings, which must be removed from containment ponds to meet environmental standards, as well as maximize the pond’s capacity. 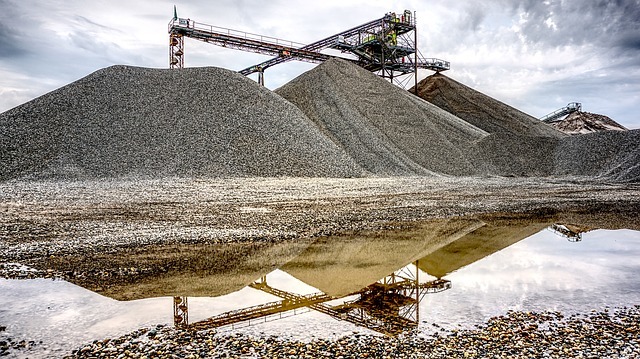 Mineral: Like hard rock mining, mineral mining — which includes, coal, sand and more — also produces substantial debris volume, which requires frequent removal from on-site mining ponds and delivery to off-site locations. For both types of mining, dredges and submersible pumps are ideal for removing sediment in the mining ponds. Copper: The continued rise in international copper production emphasizes the need for durable dredges that last the life cycle of mill circuit operations. With a stainless steel boat, as well as heavy-duty construction, the Dino 6 and Dino 8 are trusted dredges for long-term mining pond use — which lets your mining operations maximize their productivity and cost-efficiency. Iron ore: The pressure to streamline mining processes and eliminate downtime is constant at iron ore mining sites around the world. With the Dino 6’s six-inch submersible pump, removing bulk sediment from mining ponds with ease, downtime is a non-factor. All GeoForm International pumps are made in-house, ensuring quality and performance. Gold: The goal of many hard rock mining operations, including gold, is to coordinate your operating and downtime cycles with your mining pond dredge supplier. That way, maintenance and repairs happen before your mine goes online again. With an in-stock supply of parts, we make sure your Dino6 or Dino 8 is ready to go. Zinc and nickel: The remote locations of zinc and nickel mines make transportable dredges for mining ponds a necessity. Both the Dino 6 and Dino 8 feature a compact design, which lets them reach locations many other dredges can’t — and without sacrificing suction power. Our submersible pumps handle all your pumping processes from waste to slurry water. Oil sands: With an increased interest in oil sands, it’s become a priority for many companies to establish operations in Canada, a hub for oil sands. At GeoForm International, our facility and service team in the U.S. can meet your needs with our high-quality submersible pumps and dredges for mining ponds and ore preparation. Phosphate: From your mining site to your processing and concentrator plant, you require durable pumps and dredges. With the Dino6 and Dino8 dredge, you can clean sediment in your mining ponds with ease while our submersible pumps can process water, slurry, debris and more — all while delivering the performance signature to GeoForm International products. Sand and gravel: The international scope of mineral mining makes it necessary to partner with global suppliers for your machinery needs. With more than 20 years of experience collaborating with mining companies around the world, as well as engineering submersible pumps and gravel and sand dredges, you can trust our team to deliver the responsive service you demand. Diamonds: Like copper, diamond mining operations require durable and effective equipment to maximize their site’s productivity and ensure it continues to meet standards set by the governing country and its organizations. With the Dino 6 and Dino 8 mining pond dredges, their corrosion-resistant and stainless-steel frame last a lifetime. Soda ash and kaolin: From food needs to the paper industry, soda ash and kaolin are two minerals that are in high demand by multiple markets. With the dependable build of our submersible pumps, as well as dredgers, we supply you with the tools needed to process these materials and maintain your mining ponds. Coal: Whether your operations are in the U.S., Canada or another country, you can count on GeoForm International dredges to remove sediment in your mining ponds. Our submersible pumps, which are available in wheel and vertical versions, can also power your hydro-transport processes with ease, delivering the efficiency you need. GeoForm International, a leading supplier of high-quality sediment removal equipment, is your headquarters for a peak-performing dredge that will meet the needs of coal mining operations. Our Dino6 is a lightweight, compact, portable dredge that is easy to use and offers the rugged construction and durability that is critical for mining industry applications. Contact us to learn more about how our coal ash dredging equipment can help you.